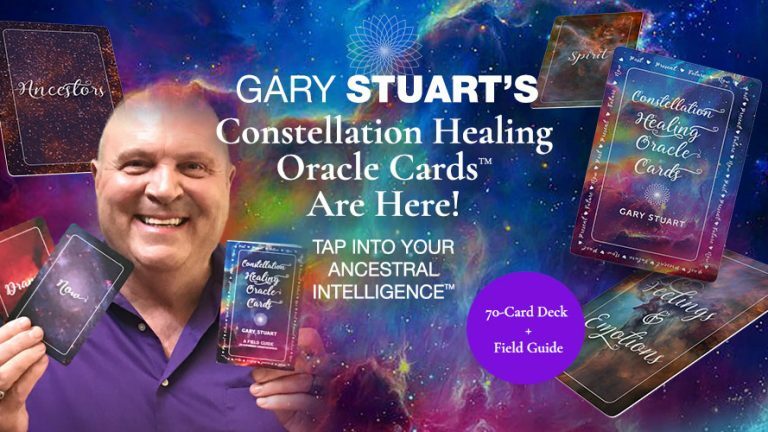 Open up to your Ancestral Intelligence hidden in the “Knowing Field.” Gain deep insights with the thoughtful definitions and guidance on the back of every card. Recreate the experience of Constellation Healing on your own or in a group with friends. 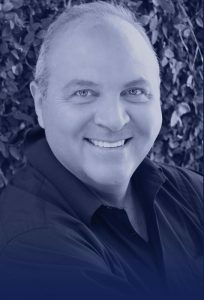 Explore your highest intention and release your unconscious inherited patterns to get the most out of your precious life! Use the guide to help you create the best card spread to meet your goals. At the end of each chapter, we included the Bow and Release Process to show you how to complete each reading with honor, respect, and closure. Choose certainty over confusion – Get your Constellation Healing Oracle Cards today. 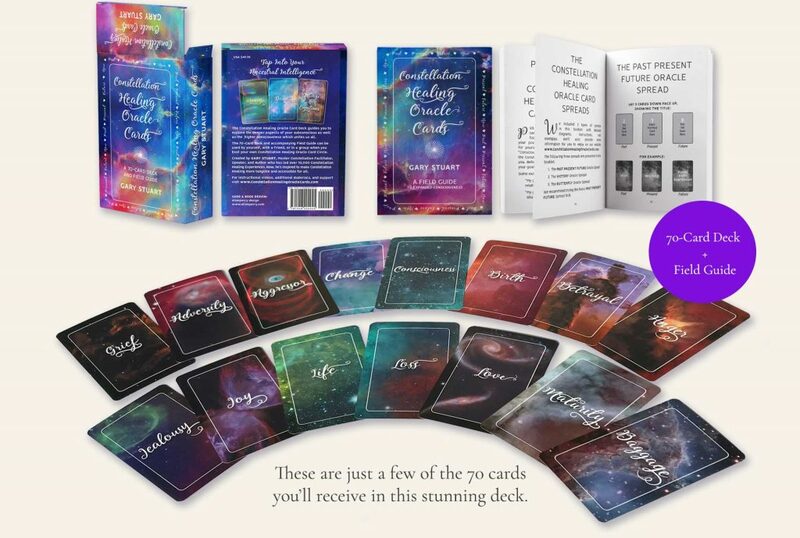 The stunning 70-Card Deck includes a Field Guide of readings and real-life stories to show you exactly how to use the deck to explore your ancestral history and resolve any and all issues. with Master Facilitator Gary Stuart!